15 years of experience to you. There have been many changes to our industry, but the Sellers goal has never changed. If you are like most sellers, you want to SELL your house for the most amount of MONEY, in the shortest amount of TIME and Pay the smallest amount of commission! If this is true, please read on…. We have discovered that there are THREE key reasons why any home will or will not sell. There are called the THREE P’S! v Price – The number one reason why a house will or will not sell is price! We will show you what buyers have been willing to pay for homes similar to yours. Most buyers will have a mortgage, so we will discuss what the appraiser will write about your home. Is it a buyers or sellers market? Are prices going up? What is your time frame? We will discuss it in detail. v Product – Every home becomes a product the moment a For Sale sign is place on the lawn. We will help you stage your home so that it shows its best. It is hard to be objective when it’s your own home. Let us help you shine from the beginning. v Promotion – We will show you how we will expose your home to the widest group of buyers in the marketplace. A variety of sources will be used to promote your home, from 2 multiple listing services, to print ads, to a strong internet presence. Selling a home is always a TEAM effort. There are many players and just like a good baseball team or football team you need a good manager to bring it all together. We are successful in helping people to assess their needs and reach there goals quickly. We want to help you Sell your house quickly and Net the most amount of money! In order to better understand your needs and goals, please take a few minutes to review this packet of information and fill out the information. It will save us time so that we can focus on you and your situation. We want to act in your best interest. Items before we begin the process of marketing your home. · Buyers market or sellers market? Experience: Tricia has been a full time, professional realtor since 1991. Although Pete is newer to real estate, he has over twenty years of experience helping people solve problems in the machine tool industry. Blending Tricia’s experience and Pete’s fresh new ideas, helps them to meet their clients goals. 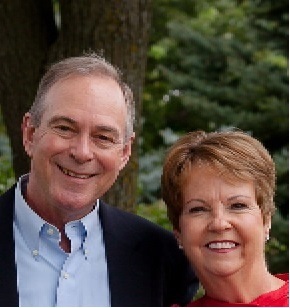 Together, they specialize in the sale and marketing of homes throughout Lake, Cook and McHenry Counties. Honors: Consistently outstanding in thier field, Tricia and Pete are repeat members of the RE/MAX 100% club – a group of select realtors recognized for their exceptional performance. Professional Designations: Tricia and Pete believe that one of the keys to success for both themselves and their client’s, is a continually updated education. They have earned the respected designations of GRI and ABR, nationally recognized achievements among the real estate industry. Personal Information: Natives of Illinois, they have lived in the Chicago land area most of their life. They have seen the area grow and change and know it like only a native can. Tricia and Pete were college sweethearts and are the proud parents of three grown children: David, Robert and Heidi, all of who went through the local school system. As a result of their own involvement in the education and activities of their children, they have an acute awareness of the needs and wants of families in the area. Pete and Tricia are a valuable resource for those new to the area as well as to those who are simply changing neighborhoods. Dedicated to their community, as well as their profession and family, Tricia and Pete continually give back. Tricia works extensively with her Church (St. Francis de Sales) as a “Minister of Care” and a Bereavement Minister, assisting those who are sick and dying. They are members of the National Alliance of the Mentally Ill; Tricia co-chaired a fundraiser designed to support a program for the employment of individuals with psychiatric disabilities. They are proud sponsors of Children’s Miracle Network, a charitable organization benefiting seriously ill children. Pete is a Twelve Time Marathon Runner, finishing in the top 25%. If he’s not running a race, you’ll usually spot him on the course, encouraging the other runners. Tricia and Pete Aggressively and Creatively begin Marketing Your Home Immediately after the Listing Agreement is Signed. They want to Help you get it SOLD quickly, and for the Highest Price! You won’t get a second chance to make a good first impression – make the most of it.